. . . Amsterdam doesn’t have room for a huge car dealership in the heart of the city. 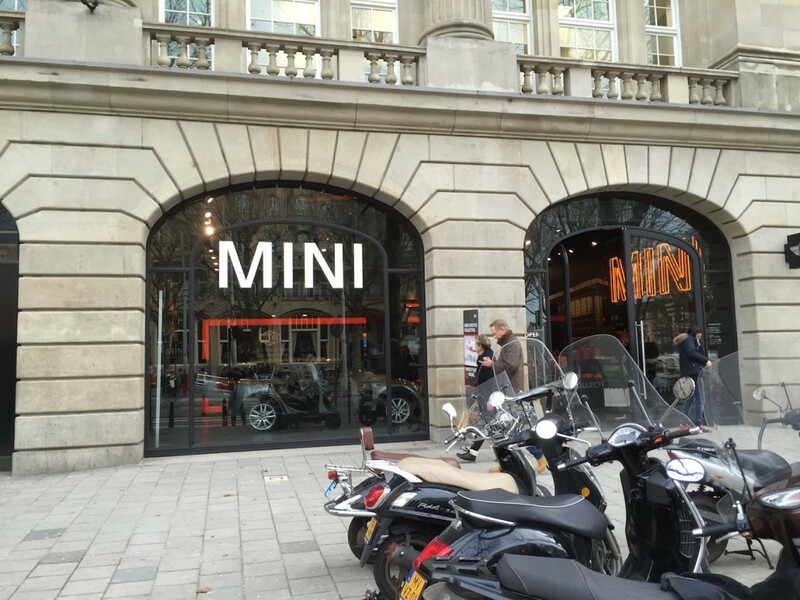 In December, 2011 MINI opened the MINI Brand Experience store in Amsterdam. Do they sell MINIs? No, but they sell the experience and boat loads of merchandise. . . .